I really like to have passive craft activities in my library and fall is my favorite season for this! Here are a couple crafts that are easy to set up as passive programs. So you don’t want pumpkin guts all over the library or stab wounds from carving mishaps? Try this activity instead. It’s perfect for toddlers and preschoolers, but older children can get really creative, too. Just set out some adhesive foam sheets, some pre-made parts, and ideas to get kids going. Scissors are required for optimal creativity, but you can also just create a whole lot of pre-made pieces if you’re feeling cautious. 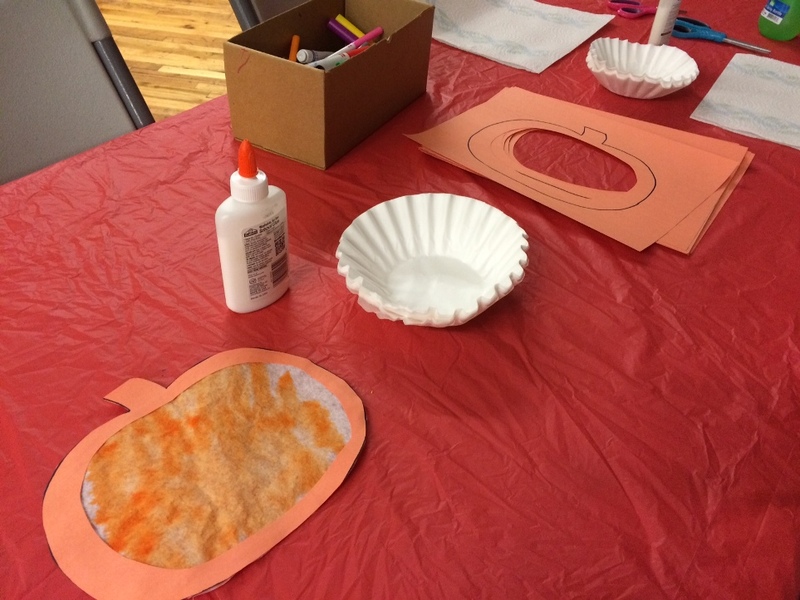 For this, kids need to scribble all over coffee filters, spray them with a little water, pat them dry, and then glue them to a pumpkin outline. It’s easiest if you leave the pumpkin outline on a whole sheet instead of pre-cutting them, because then you can trim off the excess coffee filter that will otherwise stick out behind your outline. You can hold on to a water bottle at the desk and even help young kids squirt their creations. 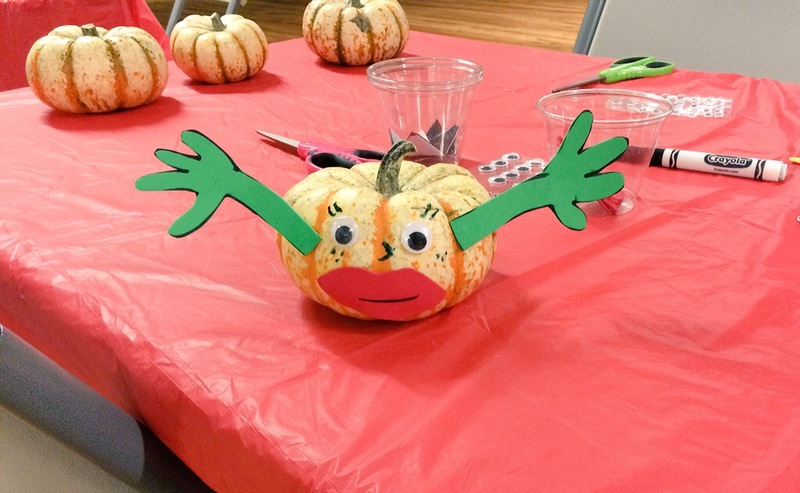 These activities were big hits on Halloween, but pumpkins easily flow into November. Here’s a fabulous pumpkin game! And if you’re coming up on some cold weather (I still have another month or two), try her snowman scavenger hunt, too! Her book character scavenger hunts are my favorites. Please check out this amazing series of storywalks! Doing one inside the library just makes so much sense, and this team even created extension activities for the stories. It would be easy to do one with stories about being thankful or pumpkins in the coming months. Okay, world! Go try some things!